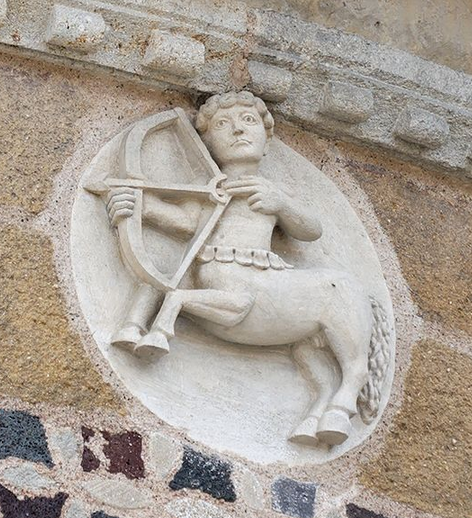 One of the things I love about the holidays is that it is not only festive and filled with joy but it is also the season of the Sagittarian, also known as the Archer. I don't really believe in all that astrology stuff (which is pretty typical for a Sagittarian) but there are some interesting characteristics that I can embrace. This sign's high intelligence, killer sense of humor and love of education translates into a wide range of career opportunities. In fact, due to their mutable nature, Sags may enjoy multiple careers throughout their lives. As a kid, having a December birthday didn't seem that awesome. It was easy for people to get away with giving me a birthday/christmas gift. My Mom always did her best to make my bday special but it was always a little muted by the holiday. When I got into college things turned around 100% because my birthday landed the day right after finals and then the Christmas break would begin. So that was pretty cool. Now I LOVE having a December birthday. One of the main reasons is that my grandmother and my parents typically send me a card for my birthday with a little bday cash in it that I am required to just spend on myself. This year I have been cleaning out my office and decided that I just want to have some of my favorite books of all time on a book case instead of stacks of books like I have had in the past. Today I was thrilled to find a copy of Stephen King's Salem's Lot in hardback at the used bookstore. It's not a big thing but it made me really happy. It's also not really a holiday thing but I am looking forward to curling up on the couch on a snowy night this winter and re-reading one of my favorite books of all time in hardback. The first time I read this book was in the 70's. We picked up a paperback copy from a used bookstore on the Oregon Coast and I still remember gasping as I turned one of the pages and discovered the big reveal in the book. It was the scariest book I had ever read and led me on a lifelong love of reading all kinds of books. I still love reading really well written humorous books, satires, sci-fi, biographies, historical, and good old novels. But this book was the one that convinced me to pick up a variety of books and read them with no preconceived notion about the genre. After Salem's Lot I read just about every Stephen King book I could get my hands on until he wrote IT and then John Boy Walton starred in the movie adaptation. I really hate clowns (as most Sagittarians do).